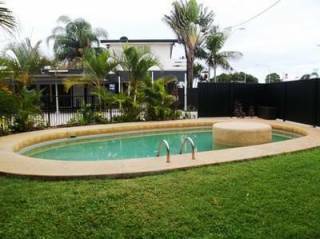 Mid City Motor Inn Mackay offers 33 comfortable & quiet motel rooms with glorious views of the beautiful Pioneer River. 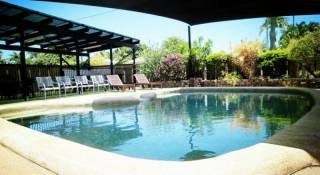 All rooms are air conditioned and as our guest you have free access to Cable TV and WiFi internet. 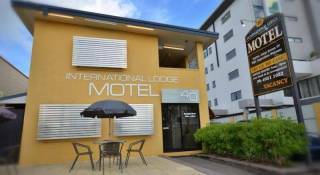 Our family rooms are ideal for family stays and our location in the heart of Mackay is very convenient for corporate accommodation, giving reps and business travellers a base within the city. 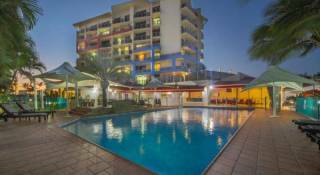 The fully licensed restaurant and swimming pool give our guests the opportunity to relax during your stay. 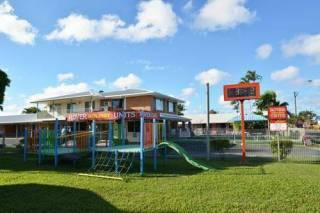 Located one block from the Mackay CBD, Mid City Motor Inn is within short walking distance to Mackay’s Restaurants, Hotels, Shopping Centres and Movie Theatre. The Bluewater Lagoon and Caneland Shopping Centre is an easy walk via the wonderful boardwalk which is situated between Mid City Motor Inn and the Pioneer River. Cancellations or changes to bookings cannot be made within 1 day prior to 6pm of the check in date or you will be charged the full amount of the booking.